This Orca-S knife has a bead blasted blade and a stonewashed titanium handle with a copper backspacer and bead blasted pocket clip. The EOS Orca-S is a solid EDC flipper knife with a unique modified tanto blade made from CPM-S35VN stainless steel with a flipper opener and mild jimping on the spine. Its titanium frame lock handle features a milled hole pattern and interior cutouts to reduce weight for comfortable carry. 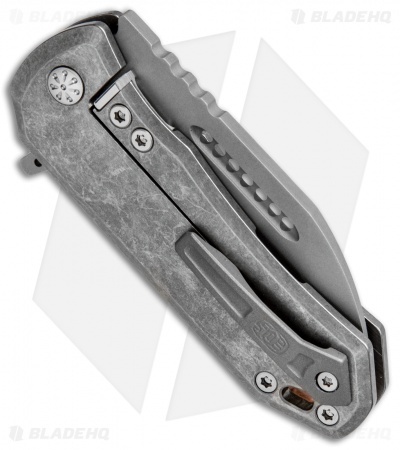 The Orca-S comes fitted with a secure titanium pocket clip. CPM-S35VN steel for excellent corrosion and wear resistance. 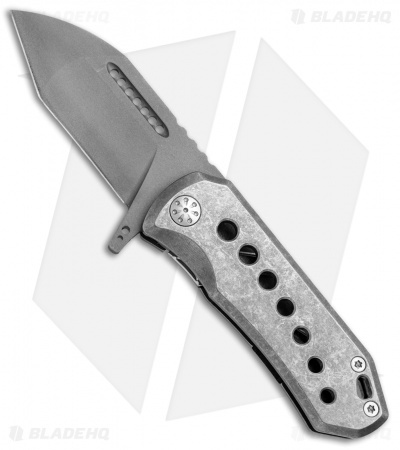 Ball-bearing pivot offers smooth-gliding flipper deployment. 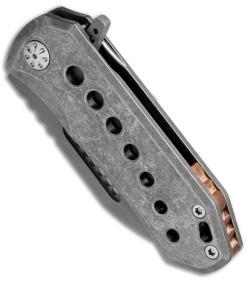 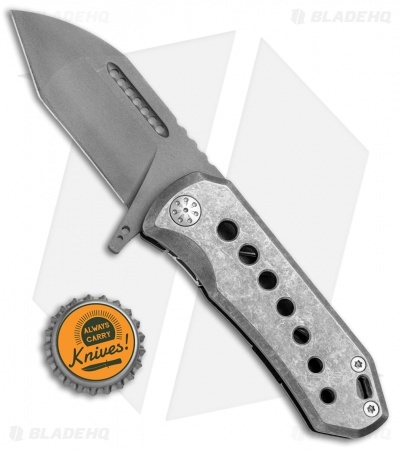 Titanium frame lock handle construction provides a lightweight, durable build.